A Wild & Wonderful Life. With that, my grandmother turned and left the room. A few minutes later she returned, with a copy of A Wild & Wonderful Life in her hand. “How in the world did you know about the book?” I asked. 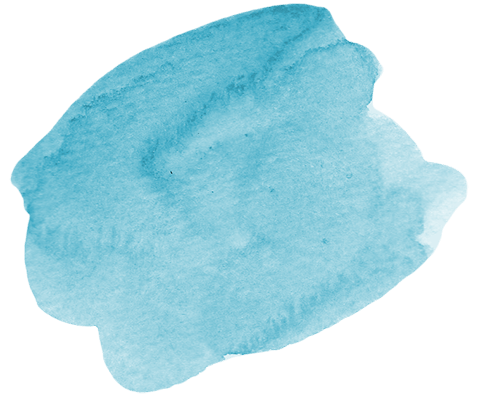 “My friend Laura wrote a blog about it and suggested to her readers that we should all get a copy, so I did. This Laura, who Kameron’s grandmother was speaking about, is a dear friend of mine from Austin, Texas. Laura traveled to Kansas City to support me at the book launch party. As it turns out, Laura is also a dear friend of Kameron’s grandmother who lives in Birmingham, Alabama. I love this story because it shows how word of mouth travels. From Kansas City, to Austin to Birmingham, in less than 10 days, my little book made an appearance because someone told someone else about it! Life is wild for sure, but most definitely it is wonderful when your story includes Jesus. I pray that as you read my new book, you will experience the immeasurably more that a life with Him offers. And then, I hope you will share your Jesus story with someone else. If you do, who knows, I may just hear about it in Kansas City! Will you help spread the word? If you’re a member of a group (church group, book club, women’s group, or any organization) I would love to share or discuss my book and my Jesus story. Please contact me and I would be glad to schedule a time. Today is the day! 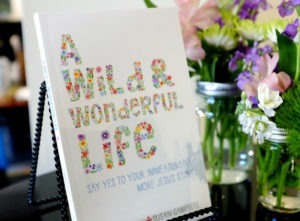 I’m officially launching my book, A Wild & Wonderful Life: Say Yes To Your Immeasurably More Jesus Story. To say woo hoo! or yippee! would be an understatement. I’m excited beyond measure. Writing this book has certainly been an incredible journey. Now I am ready to share my Jesus story with you. 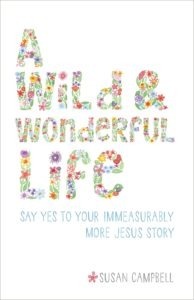 My hope is that this book encourages you to pursue your immeasurably more story. My prayer is that when you read it, you will meet Jesus, either for the first time or in a fresh new way. 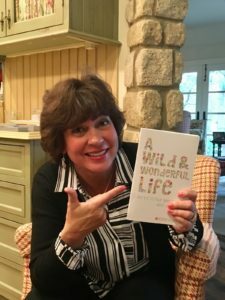 What does A Wild & Wonderful Life look like? Most likely, not how you envisioned it. Even when life does not turn out the way you planned, Jesus promises to join you on the journey, especially when it’s wild: wildly good or wildly hard. That’s pretty wonderful. And it’s pretty clear that Jesus wants you to pursue a Wild & Wonderful Life, “I came so they can have real and eternal life, more and better life than they ever dreamed of” (John 10:10b). So I promise you this: if you are ready to say “yes” to Jesus with your wild & wonderful life; you will have the ride of your life. Happy reading!